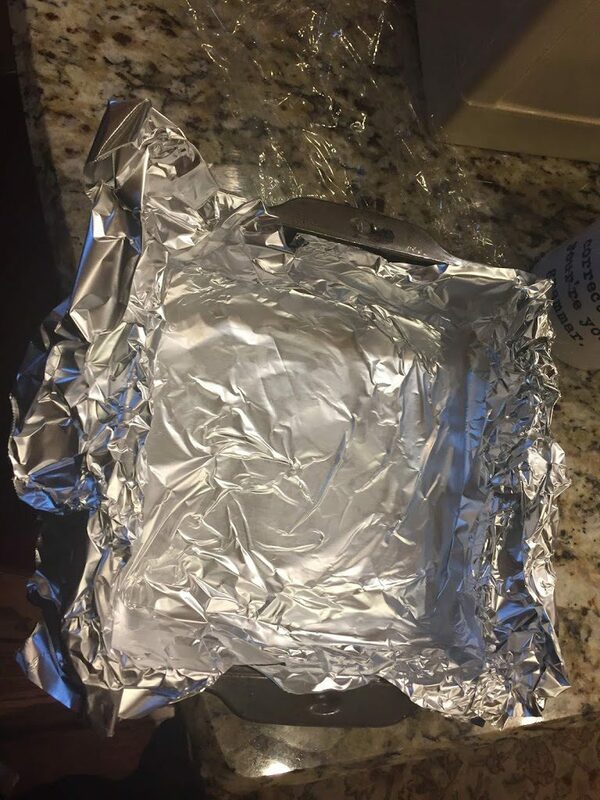 Preheat oven to 350 degrees F. Line an 8-inch square pan with aluminum foil leaving overhang and spray with cooking spray, or grease and flour the pan; set aside. 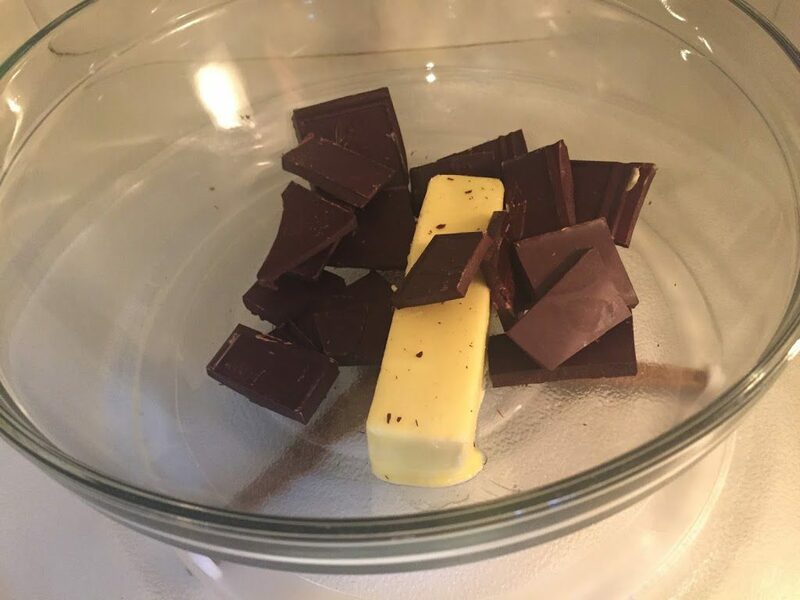 To a large microwave-safe bowl, add the butter, chocolate, and heat on high power to melt, about 2 minutes. Stop to check and stir after 1 minute. 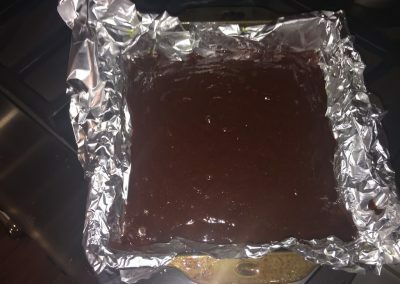 Heat in 15-second increments until chocolate has melted and mixture can be stirred smooth. 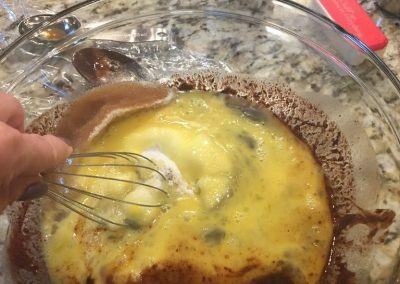 Allow mixture to cool momentarily before adding the eggs so they don’t cook ~ 5-10 minutes. 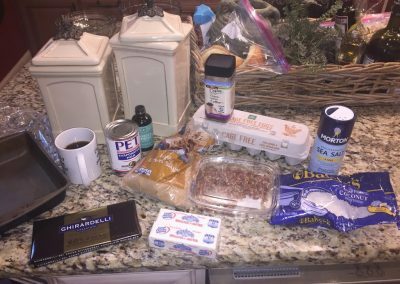 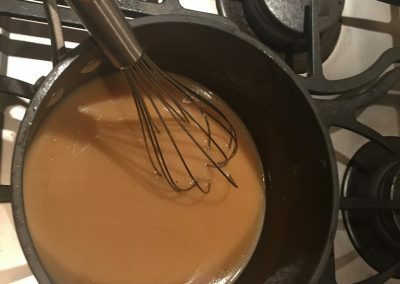 Then add the eggs, sugar, vanilla, optional coffee, optional espresso or instant coffee granules, and whisk vigorously to combine. 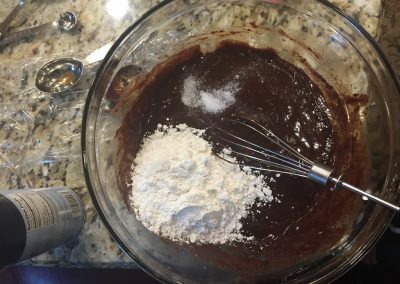 Add the flour, salt, and stir until smooth and combined without overtaxing. 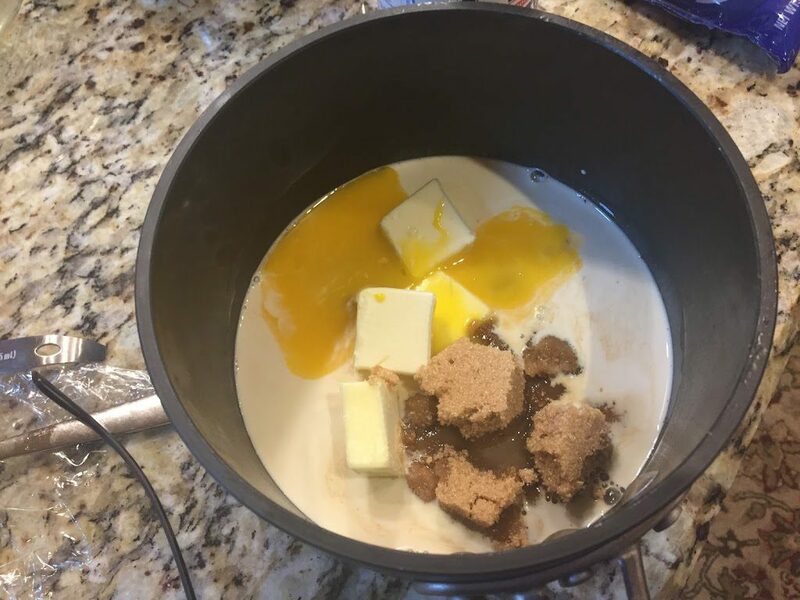 Turn batter out into prepared pan (I usually give it a good “thwack” on the counter to make sure the batter is even in the pan). 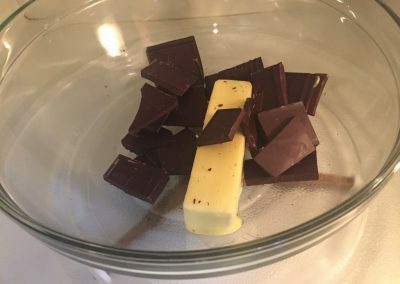 Bake for about 22 to 26 minutes, or until center has just set and is no longer glossy. 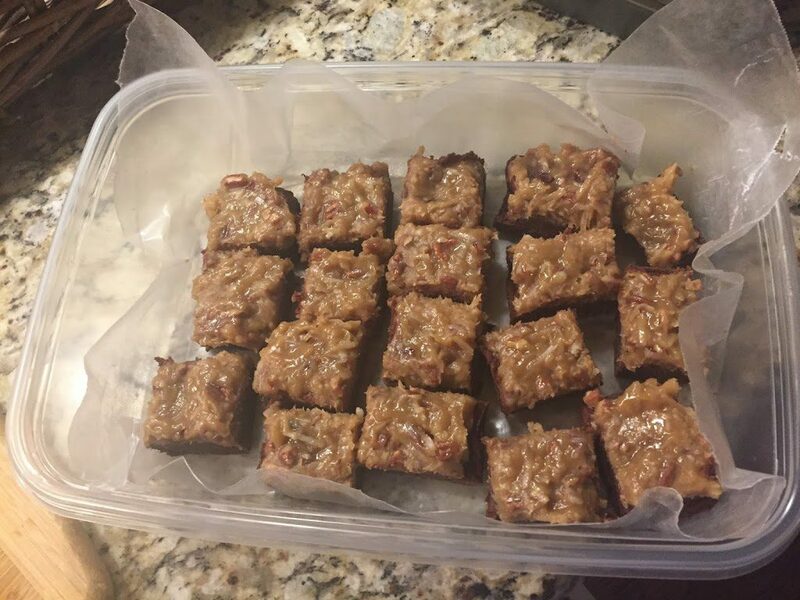 A toothpick should come out clean or with a few moist crumbs, but no batter. 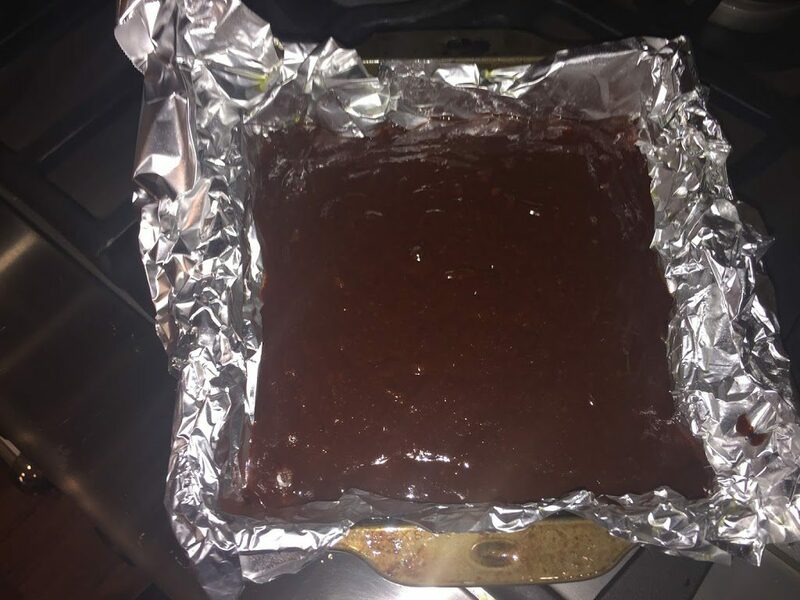 Allow brownies to cool in pan on top of a wire rack while you make the topping. 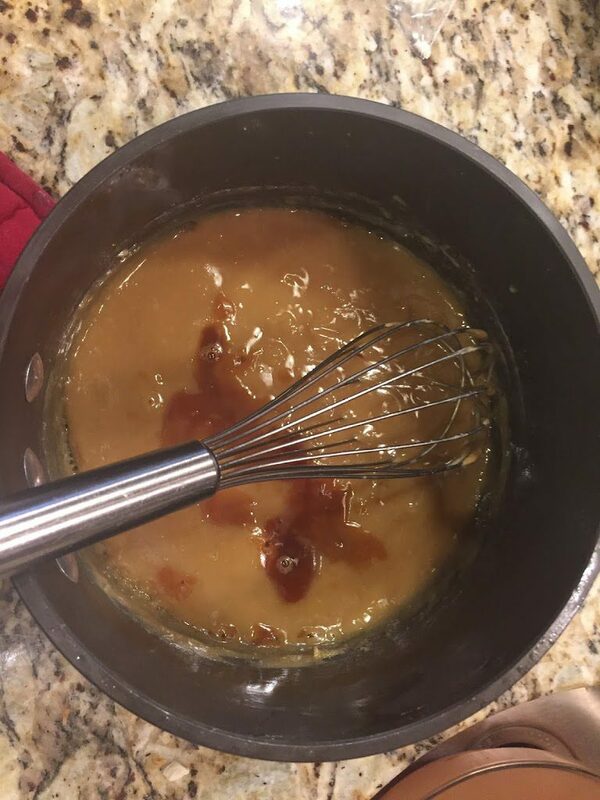 To a medium saucepan, add the evaporated milk, butter, egg yolks, brown sugar, salt, and heat over medium-low to low heat for about 7 to 10 minutes, or until mixture has thickened. 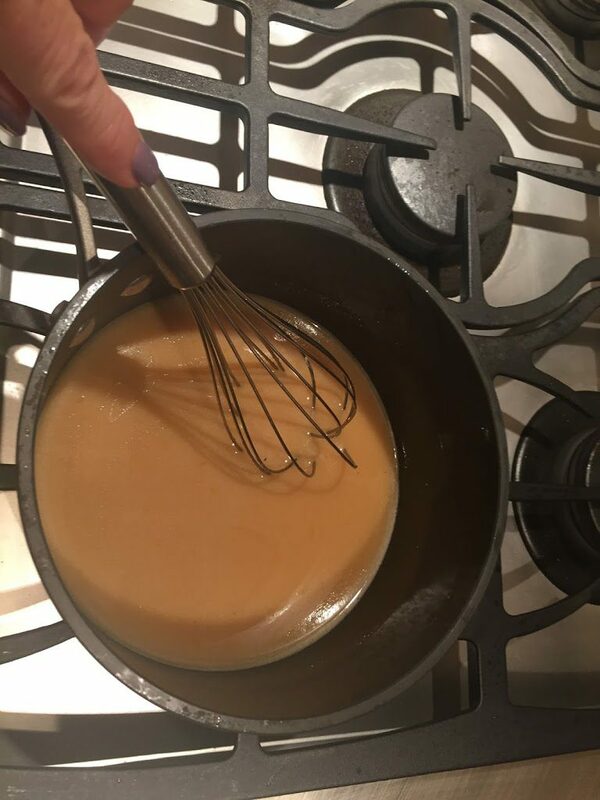 Whisk constantly or there’s a likelihood you’ll have scrambled eggs in the bottom of your saucepan. 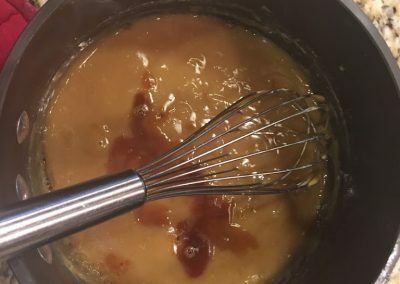 The mixture should be boiling gently while whisking. 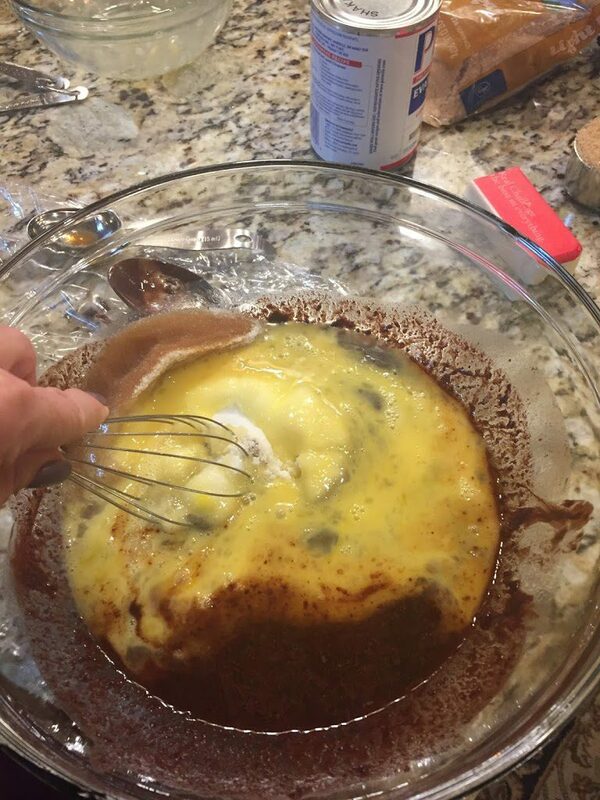 Remove pan from the heat, add the vanilla, and whisk to combine using caution because the mixture could bubble up. 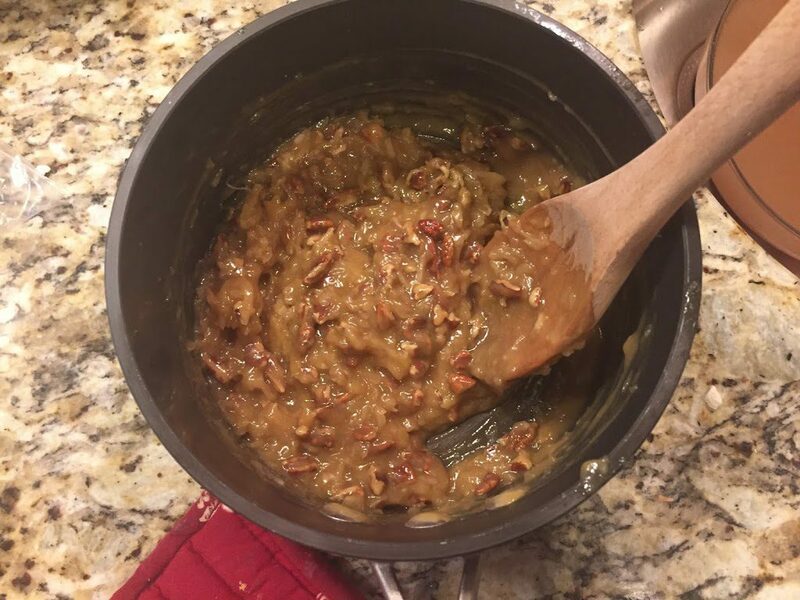 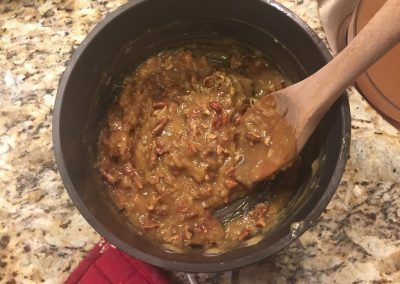 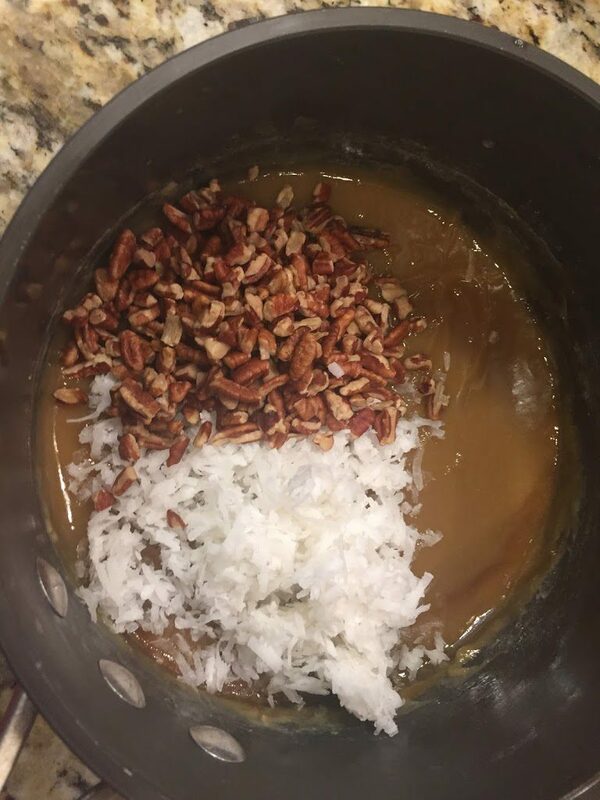 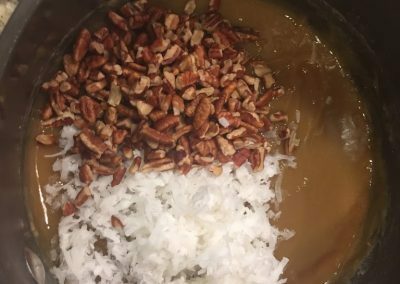 Then add the coconut, pecans, and stir to combine. 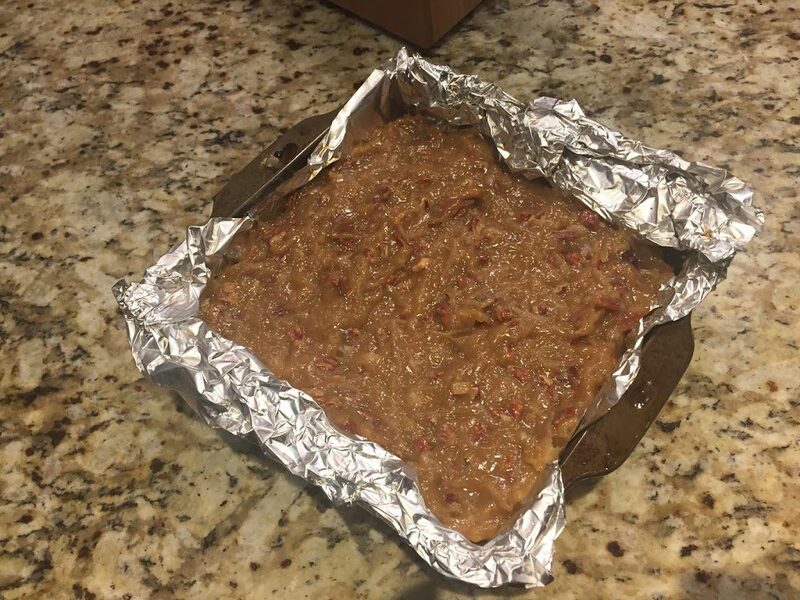 Allow topping to cool in pan for about 5 minutes. 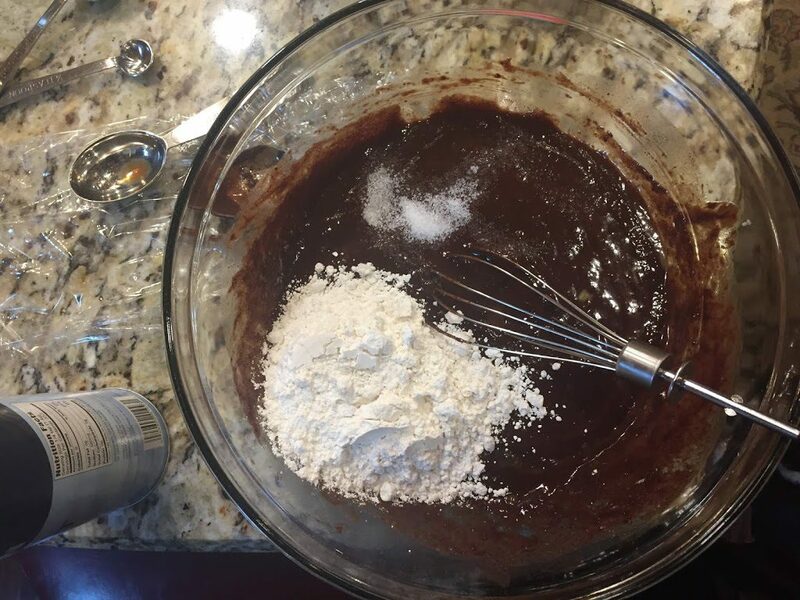 Then spread the topping over brownies, using a spatula. 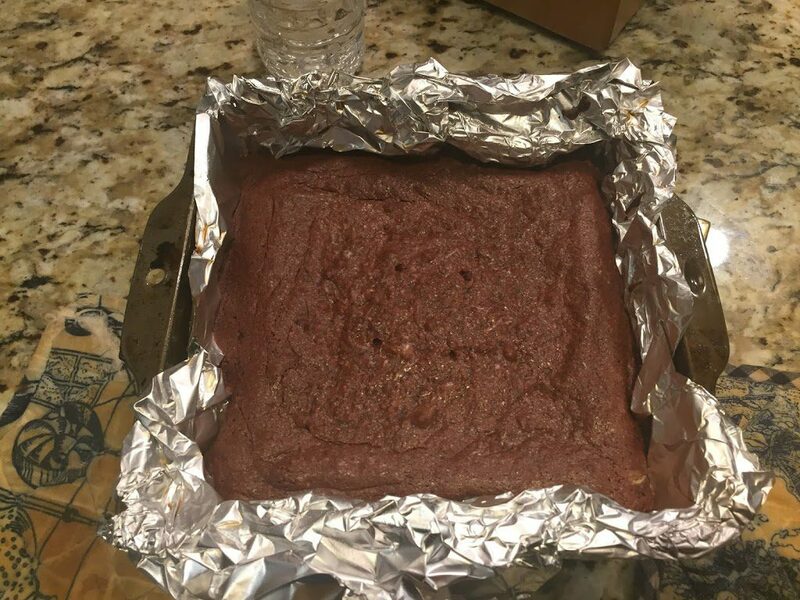 Allow brownies to cool uncovered for at least 1 hour before slicing and serving. 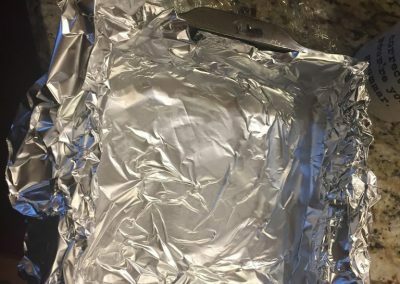 If you can, cover after they’re cooled, and then refrigerate for a few hours or overnight — they’re much easier to slice when chilled. 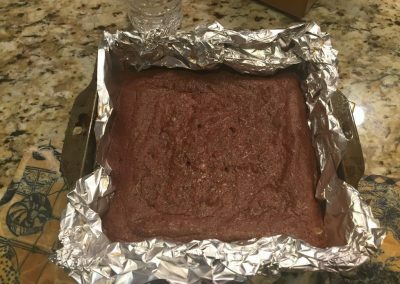 Line an 8-inch square pan with aluminum foil leaving overhang and spray with cooking spray, or grease and flour the pan; set aside.